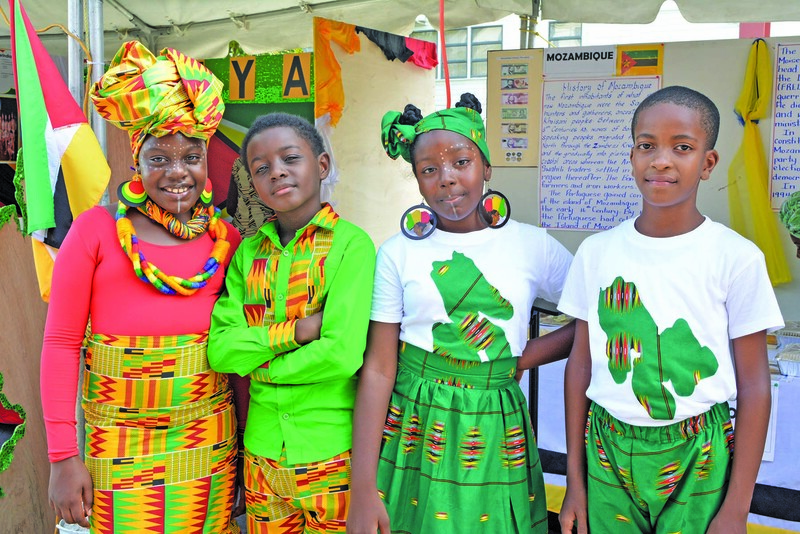 In celebration of Commonwealth Day 2019, schools across Guyana were tasked with showcasing the diverse cultures of other countries with a colourful display at the Umana Yana on Monday afternoon. The exhibit, hosted by the Parliament Office of Guyana, featured projects depicting the culture, cuisine and national symbols of other Commonwealth nations and the ways resources are used to produce unique creations. 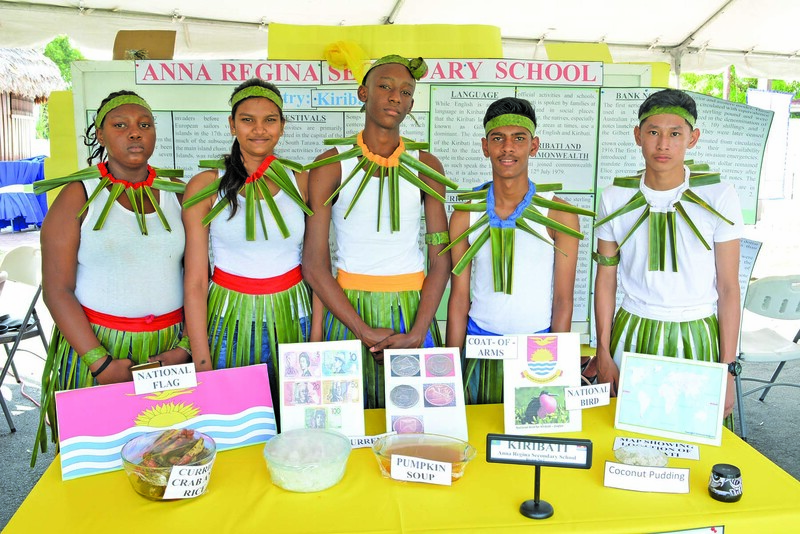 Each school was tasked with presenting on one of the 53 Commonwealth countries which exist, and Guyana Times visited some of these exhibits with Guyana notably represented as well. Diagrams, models and elaborate outfits were part of the spectacle as the students were well-versed in providing information on their respective country. The St Joseph High School did a presentation on Singapore, with Teshanna Ramnarine who represented the school naming it as one of the most peaceful countries in the world despite the fact that it is not that large. From Region Seven (Cuyuni-Mazaruni), the Bartica Secondary School focused on Cyprus, which is the third largest and third most populous island in the Mediterranean. According to geography teacher Rosalie Pereira, the country is also famous for its pizza and wine. “They’re known for Mediterranean pizza and wine production. They’re also a good destination for ecotourism and agro-tourism. I think it’s a good idea to showcase the different countries because it’s a good opportunity for the teachers to be acquainted with the culture and the way of living and compare it to ours,” Pereira added. Meanwhile, the North West Secondary School featured Canada, which is populated with French and English-speaking citizens primarily. On display were some distinct dishes that are associated with the First World country. 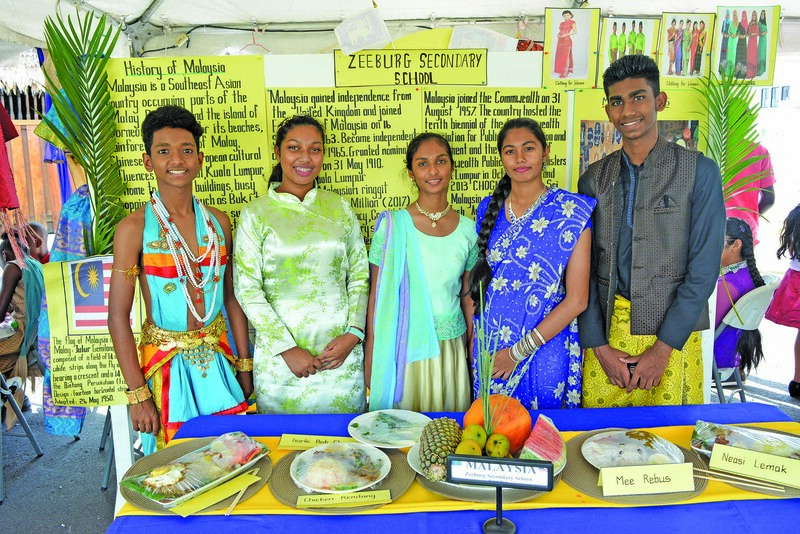 Amlica Persaud of the Anna Regina Secondary School in Region Two (Pomeroon-Supenaam) related that her group was not expecting Kiribati, an island republic in the Central Pacific. However, learning about this nation was strategic in gaining knowledge about countries in that region. “Kiribati is not even pronounced as it is spelt which was the first thing we noticed. It is very indigenous and basically everything is based on coconuts. The clothing is made from coconut and they make their clothing with the plant as well. Another thing is that they use a lot of seafood. Now I know more about this country, a country that I had never heard of,” Persaud noted. At the primary level, the Leonora Primary School presented on Sri Lanka while Amelia’s Ward Primary highlighted Solomon Island. Malaysia, Trinidad and Tobago, South Africa, and India were presented on by other schools. Empire Day was replaced with Commonwealth Day and is observed every year on the second Monday of March. The theme this year reads, “A Connected Commonwealth”, which denotes the good relations among these countries and places emphasis on the need for more cooperation.